Instagram is a photo and video sharing social media networking service, launched in 2010. After Facebook and Youtube, Instagram has the highest number of monthly active users. So with over 95 million photos added to Instagram everyday – what are people crazy about? What are the latest trends, biggest brands, top hashtags and most followed accounts? The most liked post ever on Instagram was the first photograph of Kylie Jenner’s baby daughter with over 18 million likes. In fact the majority of the top list of most liked Instagram posts is pretty much a bundle of celebrities, pop stars and reality stars. Donald Trump announcing he was planning to run for President only managed a tiny 11,411 likes. So which industry giants are taking over the top 10 spots in their fields on Instagram? 1: Chanel, 2: Louis Vuitton, 3: Gucci, 4: Victoria Beckham, 5: Dior, 6: Dolce & Gabbanna, 7: Prada, 8: Calvin Klein, 9: Versace, 10: Michael Kors. Fashion top spot Chanel have 31 million followers on Instagram. A huge number given that the brand is considered a “luxury” brand and most Instagram users are aged between 18-29 years old, so not necessarily the brand’s target demographic, in fact until very recently Chanel target demographic was 18-50 according to their brand report. 1: Starbucks, 2: McDonalds, 3: Oreo, 4: KFC, 5: Pizza Hut, 6: Taco Bell, 7: Burger King, 8: Subway, 9: Wendy’s, 10: Krispy Kreme. Coffee connoisseurs Starbucks populate their Instagram with customer photos and customer experiences. Nike launched one of the most successful Instagram campaigns ever when they gave fans the opportunity to design their own Nike shoe online. The result was a shareable photo. 1: National Geographic, 2: Lonely Plant, 3: Contiki, 4: Trip Advisor, 5: Travel+Leisure, 6: Travel Channel, 7: BBC Travel, 8: Norwegian Cruiseline, 9: Love Great Britain, 10: Intrepid Travel. Stunning imagery and photography boosted National Geographic as they highlighted not only the most beautiful locations around the world, they used Instagram to show the world the damage climate change, pollution and waste is causing. Striking and sometimes shocking images have proven time and time again to be a huge talking point for the online communities. 1: Instagram, 2: National Geographic, 3: Nike, 4: Victoria’s Secret, 5: FC Barcelona, 6: Real Madrid, 7: 9GAG, 8: NASA, 9: NBA, 10: Chanel. 1: MAC, 2: Anastasia Beverley Hills, 3: Sephora, 4: NYX Cosmetics, 5: Calvin Klein, 6: Too Faced Cosmetics, 7: Urban Decay, 8: Benefit Cosmetics, 9: Tarte Cosmetics, 10: Maybeline. Beauty by name and nature as makeup giants MAC use artistic, eye catching photos to preview and promote new products. Further down the list, brand such as Sephora and Urban Decay joined forces with film and television designing and promoting limited edition products to co-inside with film or brand of the moment. 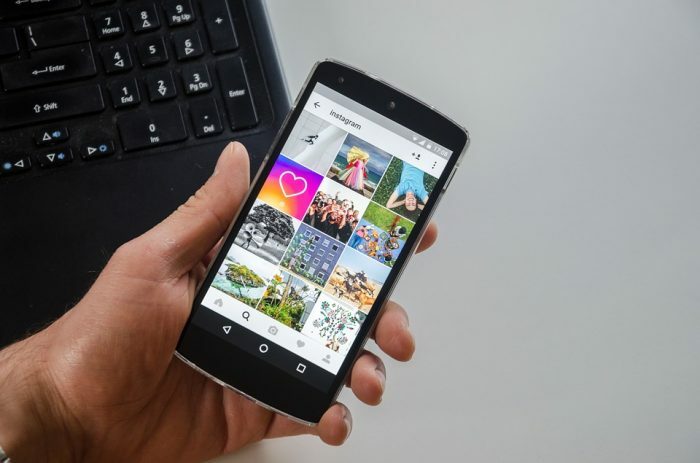 Instagram appeals to many as it is centered around storytelling, people love stories, it humanizes a brand or person, it draws the viewer in and engages them. Visual posts produce 650% higher engagement than text only posts. (Smartbirdsocial.net) Using Instagram can be good for testing the audience, what do people respond to, what engages them? This information can then be transferred to further digital marketing plans such as email marketing or blog posts. You can watch competitors easily. Instagram posts have hashtags, you can search for similar products, services or industries and review what they are doing. Hashtags are not exclusive, there are banned hashtags, but in theory anyone can use most hashtags on posts. If you sell handbags, #hangbags is currently showing 4,692,802 posts. #purplehandbag limits this number to 838 posts. Instagram gives consumers the opportunity to interact more than ever, if you sell a product or experience, sell it with a hashtag and get people to use that hashtag when mentioning the product online. GoPro cameras have done just that, their Instagram account has some of the best “user generated” content in the world. GoPro users love to show off what they are doing which in turn is great advertising for the brand. It is important to remember to keep the brand consistent, for example logos and colour schemes, especially on a platform that has over 40 billion images. Over 80% of accounts on Instagram follow a business. Beauty expert Huda Kattan is the most followed Instagram Influencer sharing with 23.8 million people. For all your social media requirements – give us at Eppiq a call today 01635 715555.